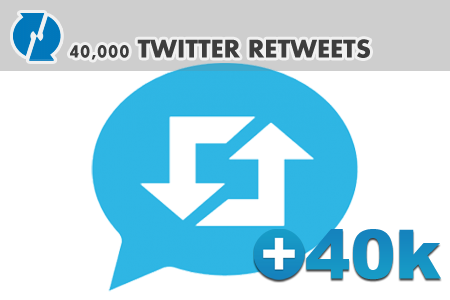 40,000 twitter retweets for your tweet. We provide twitter retweets for your posted tweets, this makes your tweet go viral! Your tweet will appear in all accounts that retweet your tweet. This also very usefull for SEO for the link in tweet as these retweets acting as backlinks for your link. - Re-tweets comes from looking real with profile picture. - Delivery rate is about 2.5k per day.